OKLAHOMA CITY, Okla. — Officials in Oklahoma voted on Tuesday to remove a Ten Commandments monument on the state capitol grounds amid a court battle over the Decalogue display. The Oklahoma Capitol Preservation Commission voted 7-1 to give authorization to the Office of Management and Enterprise Services to remove the monument following a court order declaring that the display must go. “No public money or property shall ever be appropriated, applied, donated, or used, directly or indirectly, for the use, benefit, or support of any sect, church, denomination, or system of religion, or for the use, benefit, or support of any priest, preacher, minister, or other religious teacher or dignitary, or sectarian institution as such,” the section reads. The display had been proposed by Rep. Mike Ritze in 2009, and was soon after approved by the largely Republican-run state legislature. Ritze paid over $1000 for the display, and no taxpayer funds were utilized in its creation. 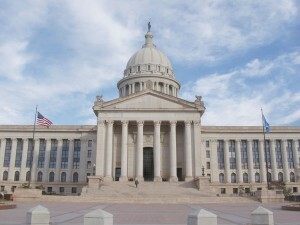 In August 2013, the American Civil Liberties Union (ACLU) of Oklahoma filed suit against the display, asserting that its erection on the grounds of the state capitol building was unconstitutional. Last September, Judge Prince concluded that the monument served a historical purpose and not solely the presentment of a religious message as it sits on a plot of land that contains 51 other expressive monuments. But the case was appealed to the Oklahoma Supreme Court, which overturned the lower court ruling. Gov. Mary Fallin refused to remove the display while an appeal was filed. Last month, Prince upheld the Supreme Court’s order that the monument must go and required that it be removed by October 12. Now that the Preservation Commission has voted to authorize the removal of the display, some are now discussing where its new home might be. Estela Hernandez, the interim chair of the Oklahoma Republican Party told local television station KFOR that she would like the monument to be placed outside of her office.